One of my favorite things about fall are the smells and flavors, so to help speed up the Fall Mood I decided to make up some Slow Cooker Cranberry Apple Cider so that when they got home the house would smell like the change of the season! 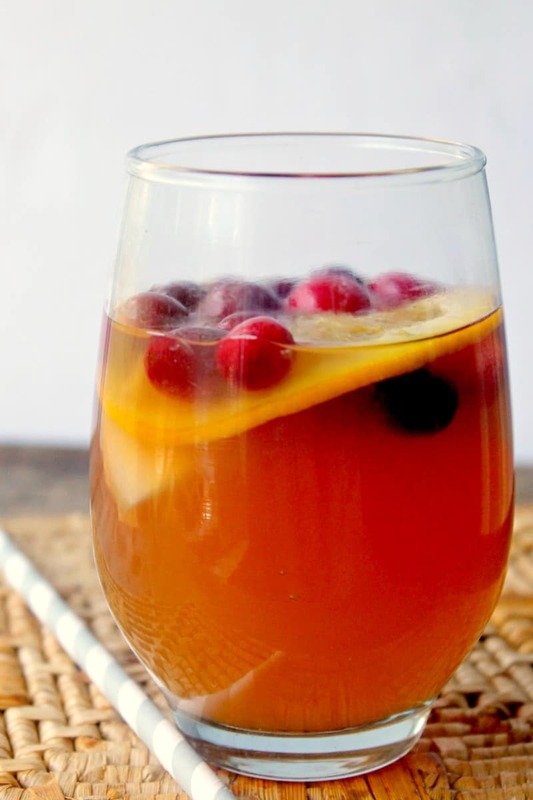 This is an easy hot apple cider recipe that will please everyone! Simple ingredients and a slow cooker is all you need! When I stepped outside this morning there was just a hint of Fall in the air. I don’t know about you, but I am so ready for shorter days, cooler nights, and cuddling up in front of the fireplace in warm fuzzy blankets. This is a recipe that is not only delicious but makes your entire house smell like the holidays. It is one of my favorite Slow Cooker Recipes! To me, few things smell better than apples and cinnamon, but the cranberry and oranges mixed in gives it just the right amount of tartness to cut the sweet. The hardest part about this crockpot apple cider recipe… is not drinking the entire thing in one sitting! 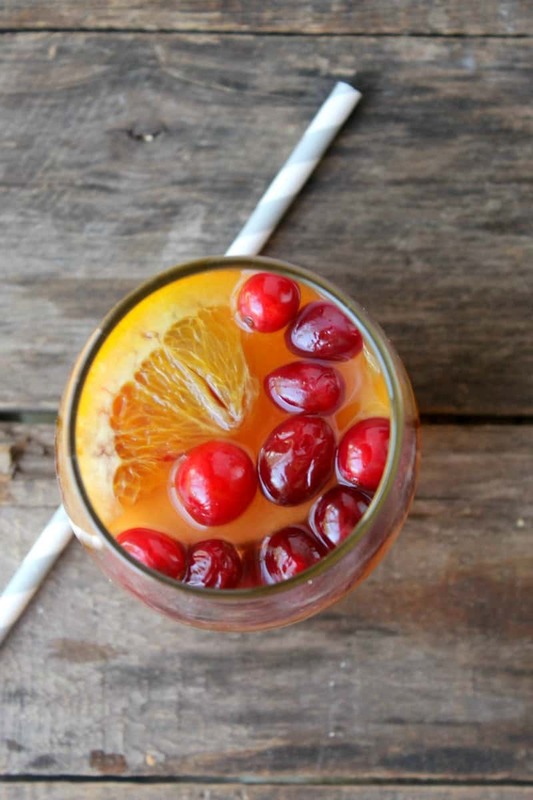 This is the perfect drink for your holiday parties too – it makes your home smell amazing, it tastes amazing. If you want to “spike“ things up a bit you can mix your hot Cranberry Apple Cider with a shot of your favorite bourbon for an extra special treat. Not to mention how easy it is to make – simply cut, mix and turn your slow cooker on! Voila! And aren’t they pretty!? 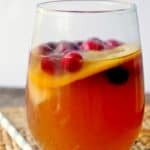 Slow Cooker Cranberry Apple Cider will put you in the mood for fall. Turn into the perfect holiday cocktail with your favorite spirits! Slice apple and orange and remove all seeds. In a 5-qt. 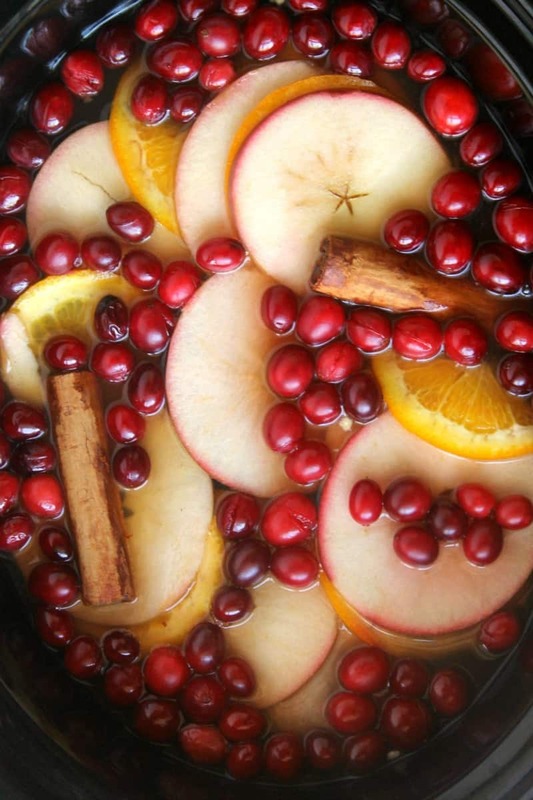 slow cooker, combine the cider, cranberry juice, cranberries, apple slices, orange slices, and cinnamon sticks. Cover and cook on high for 2-3 hours or until cider reaches desired temperature. Spike up your cider with a shot of your favorite bourbon! This sounds like the perfect drink for my sassy friends’ Christmas gathering. Yum! This looks so incredibly festive. What a great, easy way to add something special to a fall day. This looks really pretty and sounds delicious. I love that it can be done in the slow cooker and will be perfect for our Holiday gatherings. This is a gorgeous drink! The color is amazing and it sounds like it is heavenly to drink! Adding to my party drink list! I JUST LOVE WHAT YOU ARE DOING! VERY NICE! !